The ideal combination of professional grade model and 1/16 scale is called the Hunter! 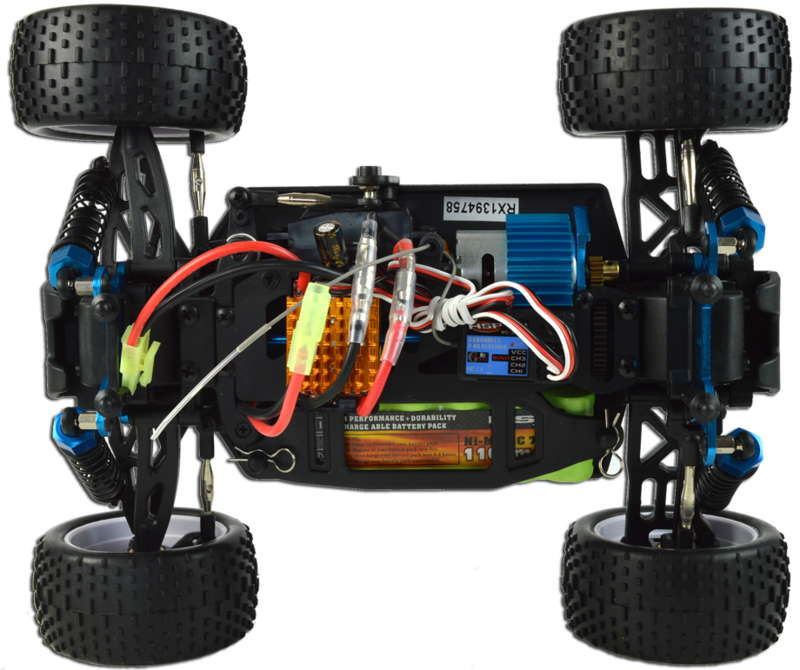 The Hunter truggy has all the characteristics of a professional model - adjustable suspension, oil shocks, aluminium suspension towers and high precision receiver and servo. 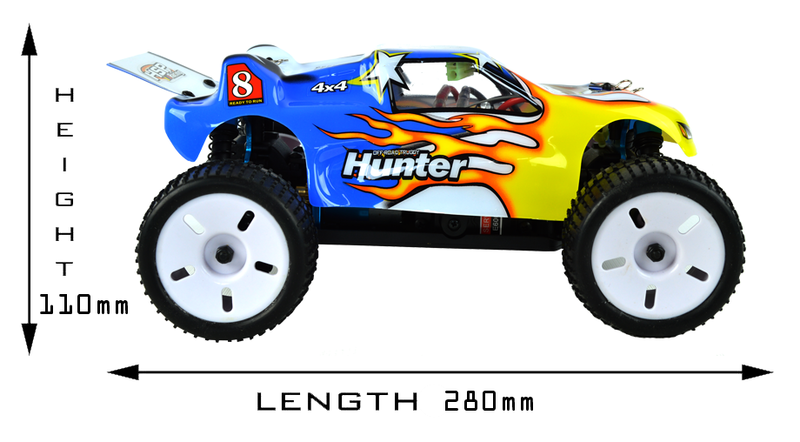 The Hunter is powered by powerful brushed engine RC380, all you need to do is charge the 7.2v battery and away you go! 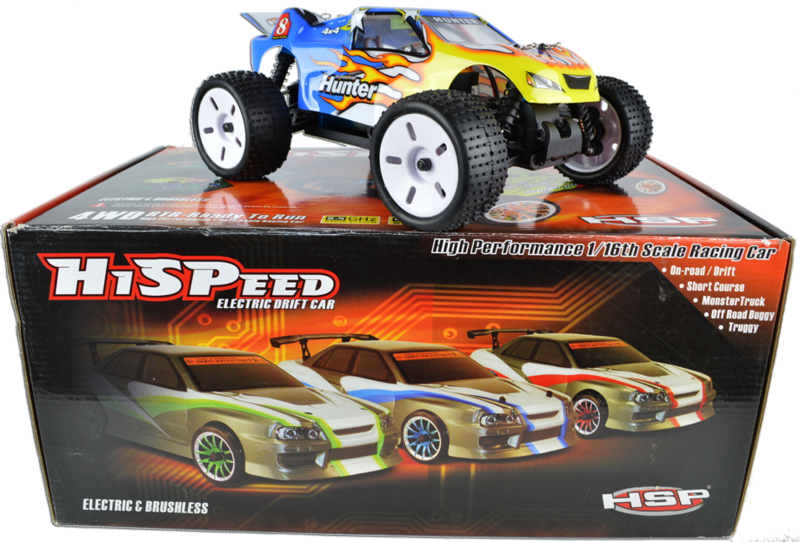 The combination of off road qualities with superb stability on the road makes the Hunter ideal multi-purpose RC car. The small scale of the model allows it to be run inside, too. 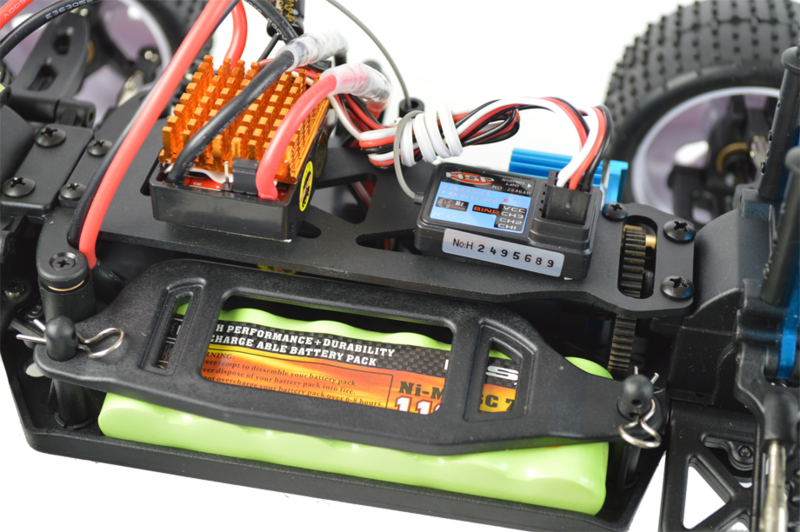 Our 1/16 electric RC cars are half the size of their 1/10 electric pro car counterparts, but twice the fun! The Hunter comes as a ready to run (RTR) hobby model! These RC cars are so much fun flying around your garden or you can take them down to your local club to show them how it's done! 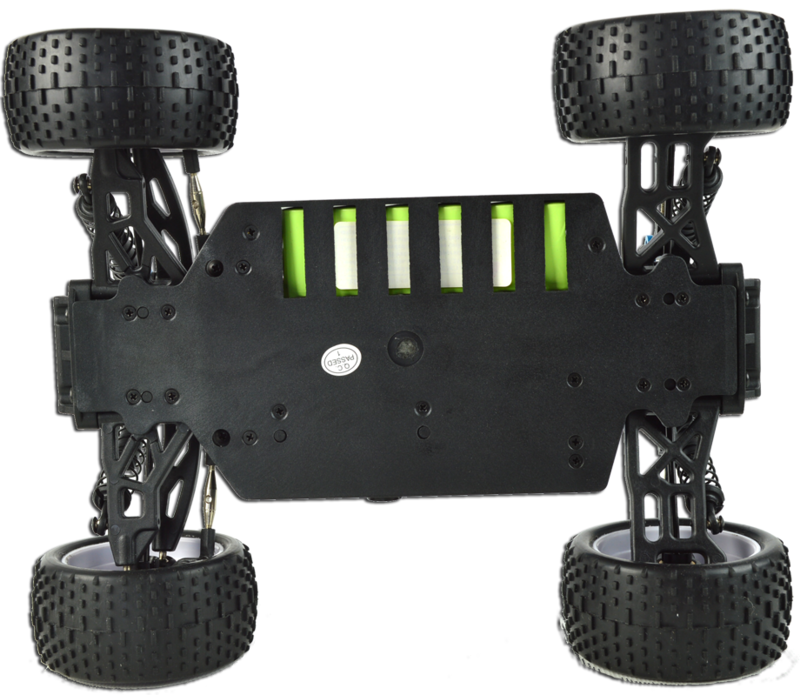 A sturdy chassis featuring counter sunk screws and cooling for the battery. 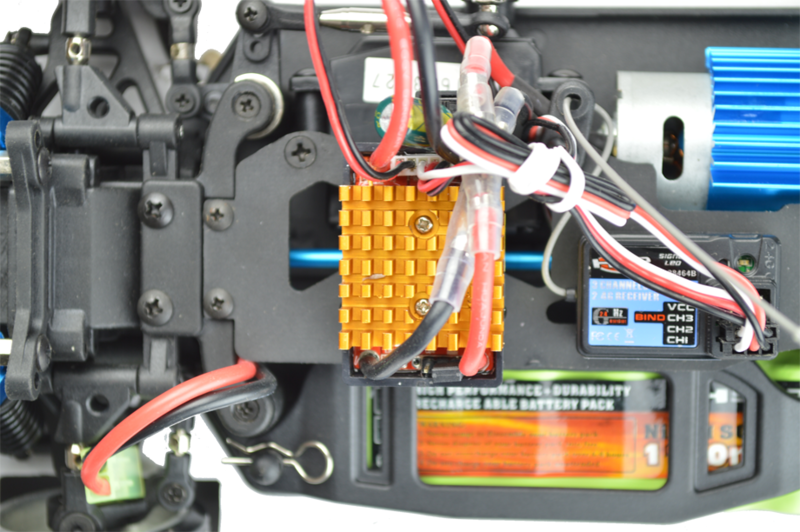 The motor features an aluminium heat sink to keep it running at its peak temperature. 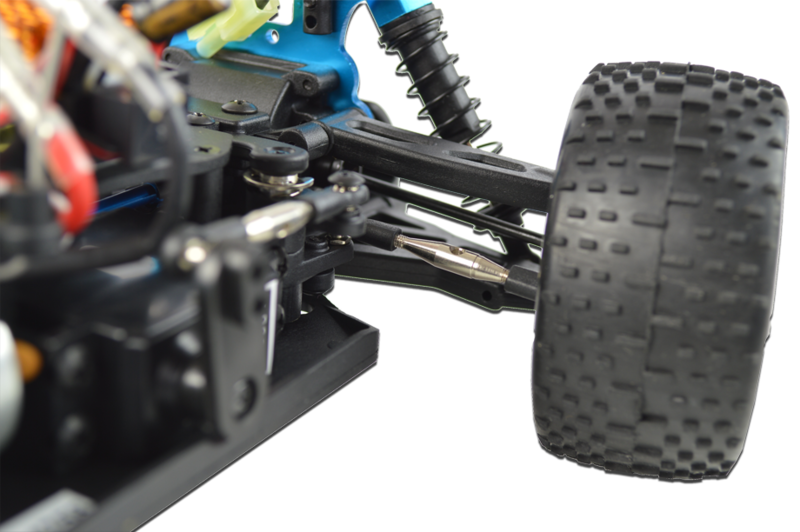 It is fixed to an aluminium mount to stop any flex and to protect the gears. 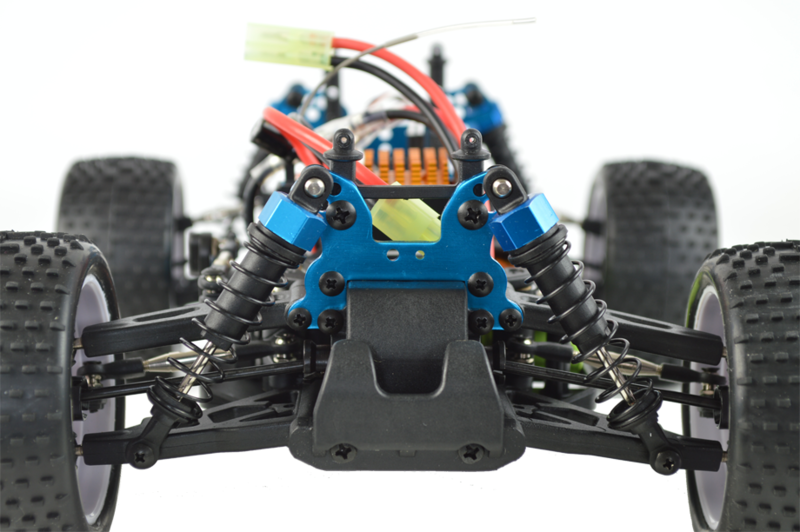 The speed controller is fully proportional in both forward and reverse. The special tread gives a good mix of off road ability and on road grip. The splashproof electronics will help protect against damage if you drive through a puddle or drive on a wet track. The four wheel drive improves off road ability and on-road grip when cornering. The power is transferred to the wheels via a solid aluminium central drive shaft and front / rear differentials that further improve handling. Aluminium capped oil filled shocks provide the suspension. They are mounted to strong aluminium posts using ball mounts for flexibility and both the angle as well as the tension is adjustable.